The Oregon Climate Change Research Institute just released their third Oregon Climate Assessment Report, and the results are foreboding. Off the top, it clearly states the problem: “burning fossil fuels to run our factories, heat our homes and drive our cars produces heat-trapping gasses that unequivocally warm the planet.” The report presents compelling evidence as to how our state is already experiencing the effects of climate change, and the various threats that lie ahead. A majority of Oregonians are concerned about climate change: Two-thirds (67%) of Oregonians believe that climate change is happening (Howe et al., 2015). A majority (57%) are worried about global warming. 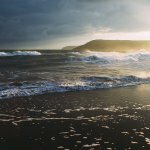 We need to do more than simply mitigate climate impacts; it’s also time to adapt: The report details the need to reduce or even eliminate greenhouse gas emissions, and adapt to new environmental conditions at governmental and societal levels, as well as through personal actions (Bierbaum et al., 2014). Oregon winters will become warmer and wetter, while our summers will continue to get drier: Annual precipitation will increase on average by 1.9% by the 2050s, and 3.4% by the 2080s under the low emissions pathway (RCP 4.5). Under the high emissions pathway, increases are a bit larger for each time period: 2.7%, and 6.3%, respectively. Oregon’s already dry summers are projected to become drier while winter, spring, and fall are projected to become wetter, albeit some models project increases and others project decreases in each season (table 2.3). Extreme precipitation events are also expected to become slightly more frequent or intense in our region. Remember our warm winter in 2015? The west coast ocean blob? The summer drought that followed? That’s a glimpse into our future: In 2015, Oregon was the warmest it has ever been since record keeping began in 1895 (NOAA, 2017). Precipitation during the winter of that year was near normal, but winter temperatures that were 5–6°F above average caused the precipitation that did fall to fall as rain instead of snow, reducing mountain snowpack accumulation (Mote et al., 2016). This resulted in record low snowpack across the state, earning official drought declarations for 25 of Oregon’s 36 counties (fig. 2.4). Oregon’s temperatures, precipitation, and snowpack in 2015 are illustrative of conditions that, according to climate model projections, may be considered “normal” by mid-century (fig. 2.5). The report does a deep dive into how climate change will impact our precious water resources, forests, coastal areas, agriculture, and human health overall. It also highlights specific communities that will be and are being hit first and hardest by climate impacts. These impacts are projected to be particularly hard-hitting for Oregon’s Native American communities. While the contents of the report may feel daunting, take heart; Oregon Environmental Council and our partners are at the forefront of making Oregon a climate leader. We are working with businesses, elected officials and community leaders to address climate pollution and transition Oregon to a clean energy economy. 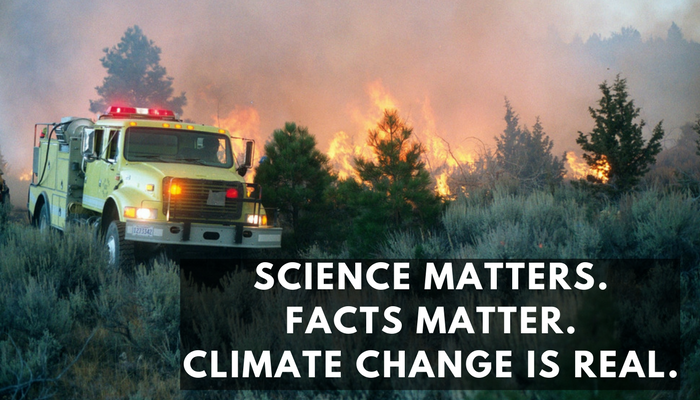 During this strange new time of “alternative facts” when various federal agencies who regularly report on climate science have been silenced by the new administration, Oregon’s researchers press on. In this sense, the very issuing of this report should be celebrated. We, as its readers, should no longer take such information for granted. We, as Oregonians, made it a priority to track these important facts in a state climate report — now in its third issue. Science matters. Facts matter. Oregon Environmental Council believes in putting forward creative solutions to today’s environmental problems that are based on sound scientific analysis. This is one of our core organizational values. You can help us by spreading these important facts far and wide: share this blog post on your Facebook page or Twitter profile. Email it to your friends. Join us on this journey to make Oregon a climate leader. You can be a catalyst for action. 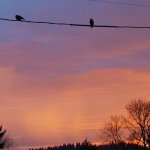 2 Replies to "REPORT: Oregon Faces Climate Threats; We Are Committed to Solutions"
How can I help? I am a fair influential writer and speaker. I live in Columbia County. Besides Facebook or cash (I have none), are there ways I can contribute? Hi Lori, have you joined our Grassroots Action and Information Network? If not, please do! We’ll let you know when there’s a climate bill where we need your support and can provide timely actions for you to take, like reaching out to your legislator, sending out an action alert or writing a letter to the editor. Sign up here: https://oeconline.org/join-us/take-action/. Another action would be to get involved with Renew Oregon. Learn more about their work and sign their pledge here: http://www.reneworegon.org/sign_the_pledge. Thanks so much for your support!